I thought I would share my latest cooking experience. One of my favorite desserts is Banana Pudding. I wanted to make some so I looked online and found a recipe. I wanted to see if I can make it with less fat so I changed some of the ingredients. For example, I used “egg substitute” rather than whole eggs, skim milk instead of “regular” milk, and reduced fat vanilla wafers. Other changes– using granulated light brown sugar to replace white sugar, and soy flour instead of cornstarch. The instructions said that the sugar and eggs should be “beaten” so I used a mixer, initially on the “low” setting and later on “high,” to combine the sugar and egg substitute. I followed the other instructions, stirring the ingredients over medium heat with a whisk until the mixture thickened. I lined my bowl with the wafers and banana slices then poured some of the pudding over it. I layered the wafers, bananas, and pudding three times and then I refrigerated it. 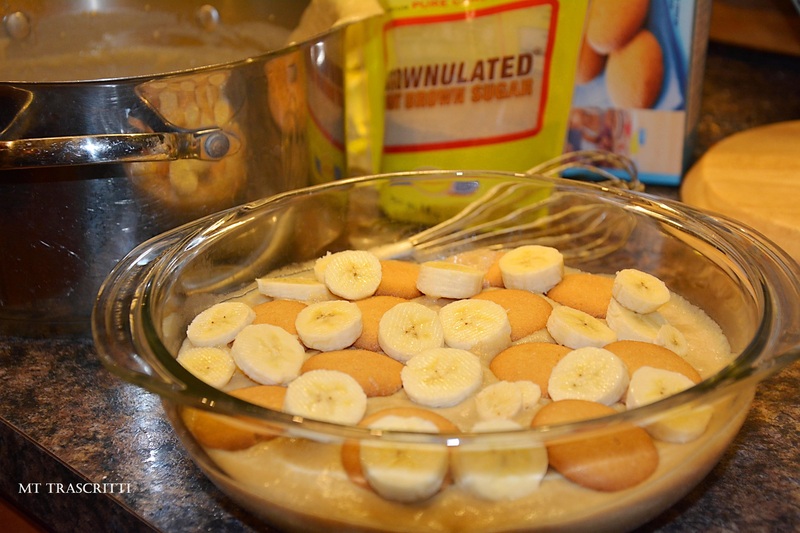 My husband said that it didn’t taste like a typical banana pudding, but he liked it. He described the dessert as a “custard, cake-like, banana thing.” I liked it too, but I thought it was a little sweet. I think next time I will reduce the sugar to ¾ cup and I will make a double batch so that I can have thicker layers. “…we can’t win God’s approval by what we eat. We don’t lose anything if we don’t eat it, and we don’t gain anything if we do” (1 Corinthians 8:8, NLT).